Save the Seneca White Deer! 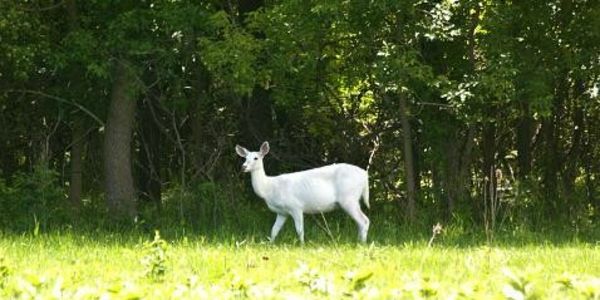 The gorgeous Seneca white deer thrived and roamed undisturbed in a former Army depot since 1941. For the first time since then, the rare herd faces a threat as local officials put the old storehouse up for bids. The deer are not albino, but the result of a rare genetic mutation. The unusual creatures and the rich military history that surrounds them draws many tourists to the area. "When we ran bus tours on a limited basis between 2006 and 2012, we had people come from all over the United States to see the deer," said Dennis Money of Seneca White Deer Inc. "People are enchanted by them." In the wild, the deer's white coats leave them vulnerable to predators. The fenced-in depot allowed the herd to thrive for decades. If buyers remove the fence, the deer will likely be killed. We cannot risk the loss of these beautiful animals. Please sign the petition to urge the Seneca County Board of Supervisors to buy the site and turn it into a nature preserve so these rare deer can survive and thrive. We, the undersigned, are concerned about the fate of the Seneca white deer who live on the former Army depot that is currently up for bid. The unusual creatures and the rich military history that surrounds them draws many tourists to the area. "When we ran bus tours on a limited basis between 2006 and 2012, we had people come from all over the United States to see the deer," said Dennis Money of Seneca White Deer Inc. "People are enchanted by them." We cannot risk the loss of these beautiful animals. We respectfully urge you to buy the site and turn it into a nature preserve so these rare deer can survive and thrive. Thank you for taking the time to read and consider our petition. A big thanks to everyone who signed the petition! Unfortunately, the Seneca County Board of Supervisors voted against trying to buy the depot to protect the deer. The good news, though, is that they amended a resolution to require that the Seneca County Industrial Development Agency (IDA) listen to the Board of Supervisors' suggestions regarding the Seneca Army Depot. It also states that preserving the White Deer and their habitat is a primary consideration regarding Depot land use.